We are big fans of sea salt at The Whole Journey because sea salt contains essential trace minerals that match the mineral profile of our blood. Many Americans are mineral deficient from stress (tired adrenals) and poor diet so sea salt is a must-have staple on the condiment shelf. 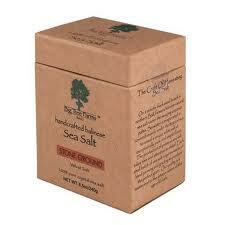 Big Tree's sea salt comes from a remote black sand beach in northern Bali. Each production of this sea salt requires weeks of hand panning and grading to produce the perfect sized grain. This is a special artisan sea salt. We love that the folks at Big Tree maintain high ideals of environmental sustainability and cultural preservation and are proud to support this company. One of the most delicious crackers you will ever taste! 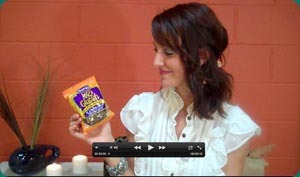 San J's gluten-free brown rice crackers are flavored with tamari (wheat-free soy sauce). Perfect when you are looking for a lighter cracker with a salty spin. Chicken is most unclean meat available today because of what we have done to their food supply and because of factory farming. Be especially careful when eating out because that can be a big source of what we call polluted meat (chickens injected with hormones and those who eat feed containing antibiotics). Smart chicken birds are raised under strict USDA Certified Organic standards set forth by the Iowa Department of Agriculture Land Stewardship They are range, which means they have access to a natural outdoor environment. They are fed a 100% organic grain diet certified free of chemical agents and have no exposure to chemicals such as pesticides and herbicides. 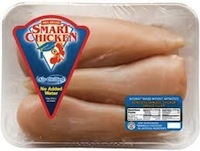 MBA Poultry has added the "Certified Humane Raised and Handled" label to their entire line of Organic Smart Chicken(R). This label certifies that Organic Smart Chicken(R) has been produced according to strict HFAC's* standards for humane. 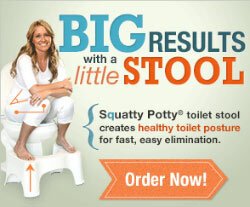 This is a great brand that you can trust. The highest of all quality chicken that you can find is pasture-raised, which means they lived a life exactly as nature intended from start to finish. This also means that those pasture raised chickens will have less fat and more protein because chickens are not vegetarians by nature. They eat bugs and worms so when they are farmed with only grain, a little something is missing. All and all, we are thrilled that Smart Chicken exists and that it is as widely available as it is. These are great tasting lozenges that kids love. 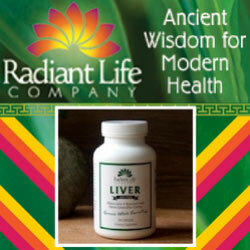 The main ingredient is elderberry extract which is a great immune-booster. On the playground, in the classroom and at home, our kids’ immune systems are constantly being challenged. 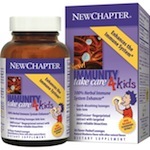 So keeping our kids’ immune systems strong and healthy helps keep our kids happy and healthy. 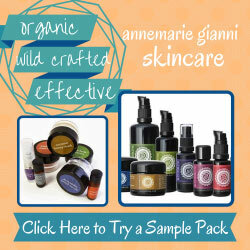 Great thing to give them at the onset of a cold, before they fly or when someone at home or school is sick. New Chapter believes nature got it right the first time, thus all their products are food-based, NOT synthesized in a lab. Because it's food and not chemical isolates, you get the full benefit of nature's wisdom. This means a whole-food complex of vitamins, minerals and herbs that contain all of the plant's active, natural biochemistries. Gotta love it. New Chapter Everyman is no longer gluten-free, for this reason we have dropped our rating from 4.5 to 3.5 stars. Upon doing some research and learning that New Chapter was sold to Proctor and Gamble, it's come to our attention that this product now contains wheat. 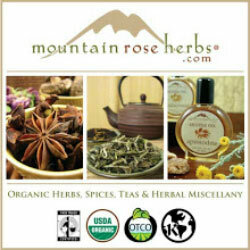 It's important to recheck ingredients and re-review products annually because as company's grow and sell, things change. New Chapter believes nature got it right the first time, thus all their products are food-based, NOT synthesized in a lab. Because it's food and not chemical isolates, you get the full benefit of nature's wisdom. This means a whole-food complex of vitamins, minerals and herbs that contain all of the plant's active, natural biochemistries. 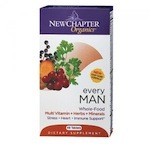 New Chapter Every Man is a great choice for active men under forty (if you are over forty, get their 40+ multi). The body recognizes these nutrients as food and can digest and assimilate them well- even on an empty stomach. 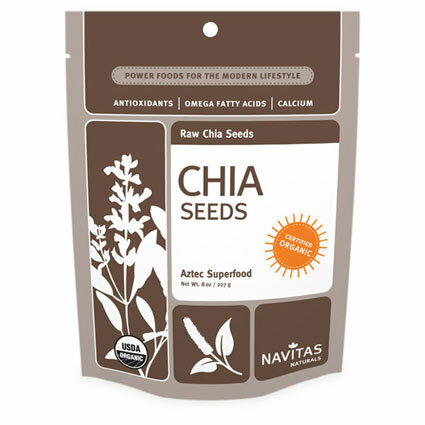 We love this multi also because it supports a lowered stress response, heart health and the immune system. .